The tea ceremony in Japan is something we’ve been curious about for a long time, so I was intrigued by this short film this morning as I browsed the web first thing enjoying my very own cup of tea. The ideals of this ceremony seem to run against the culture of the cities found in the West, so I was surprised to see Souheki Mori practicing in Manhattan, New York. It would seem however that the contrast of the busy city life has provided the perfect attraction for many to try the tranquil and meditative practice for themselves. 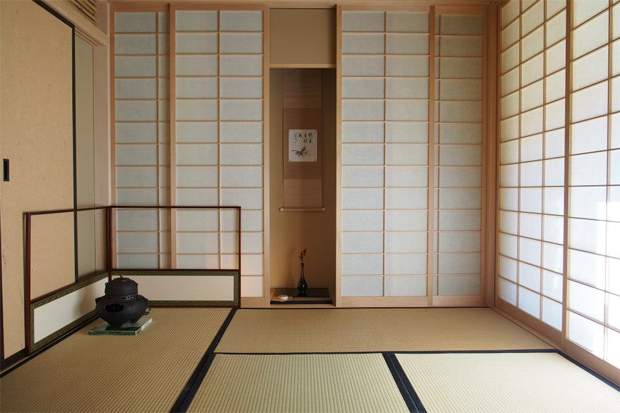 Born and raised in Chiba, Japan Souheki grew up accustom to the concept of cherishing tea in this way, so much so that she felt compelled to study under the Japanese association of Tea Ceremony and was certified as a master of ceremony in 2005, holding the title of Jufuku-an. She is passionate about the idea of bringing the beauty of Japanese tea to New York and has since been practicing with those new to this school of thought through her company “Tea Whisk”. In the film below Souheki explains that she was going through a time in her life where she was working from early morning till late night and had little time to reflect and think about herself. Through this practice she was able to rediscover her identity through quiet meditation, developing spiritual growth she believes in the process. I’ve not personally undertaken a ceremony myself yet but this video leaves me compelled to search for those practicing in my own area. Given we don’t live in America I don’t know how easy it’s going to be to come across someone like Souheki, however I like to keep an open mind and I’d love to take part myself. My hope in sharing this today is to introduce you also into this idea of taking time out to reflect and focus through the tea ceremony. I think especially for creative individuals this practice of encouraging clarity of thought would do wonders for your day to day life. I’ll leave Souheki to explain further what is involved and the benefits that it can bring, in the meantime I’ll leave the link to her website just below for those seeking more information afterwards. Press play and see what you think for yourself – Enjoy!